This pale colored sign measures 24″ by 26″ and is pale green, navy blue, and yellow. 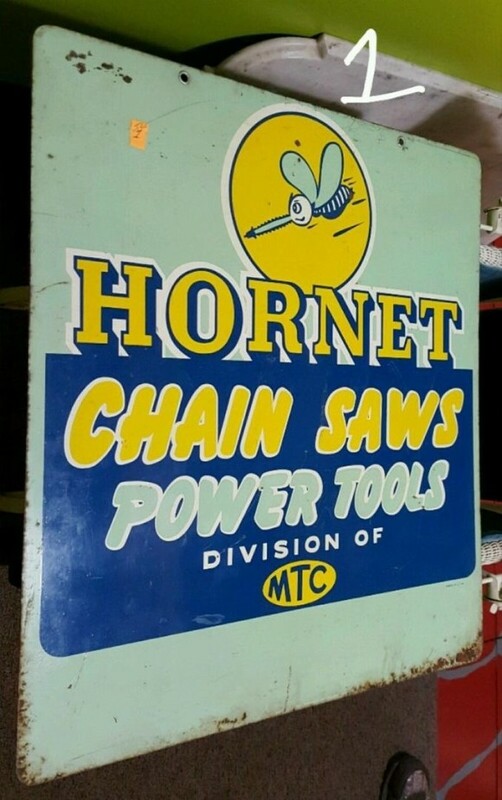 The sign is for Hornet Chain Saws and Power Tools, which is a Division of MTC. The sign has a cartoon illustration of a Hornet in the top, center.